Hawthorn held out great hopes for him when he first came from Burwood United as a winger, but a horrific run with injuries ruined his chances. He broke his left leg twice, and officials thought he broke the right one as well- “I reckon they looked at the old X-rays of my other leg!” he said. 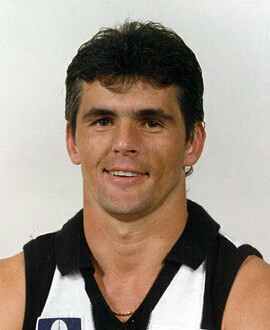 He tried to resurrect his career at Collingwood, and in 1989 went to Sandringham.